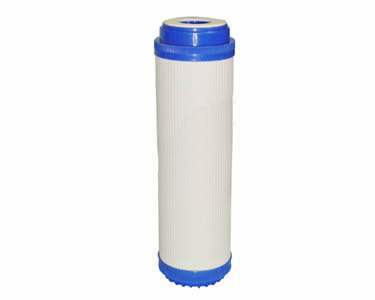 A 10″ granular carbon filter suitable for the removal of chlorine and other compounds from water; most commonly in the pre-treatment of reverse osmosis water. Will fit all systems that take 10″ filters. THIS FILTER WILL COME PRE-RINSED TO GET RID OF ANY CARBON DUST.